Tongues as if of fire . . . came to rest on each one of them.—Acts 2:3. If you were one of the disciples who experienced that, you would never forget that day. There would be no question in your mind that you were anointed by holy spirit, especially if you also received the miraculous gift of speaking in a foreign language. But do all those who are anointed by holy spirit receive their anointing in the same spectacular manner as that first group of about 120 disciples did? No. The rest of those who were present in Jerusalem that day received their anointing at their baptism. There was no tongue as if of fire above their heads. Furthermore, not all anointed Christians receive their anointing at their baptism. The Samaritans received their anointing by holy spirit sometime after their baptism. On the other hand, in an exceptional instance, Cornelius and his household were anointed by holy spirit even before they were baptized. Some years ago the concept of anointing was peculiar to Jehovah’s Witnesses. In recent decades, however, it seems that evangelicals have picked up on it —not surprisingly, claiming that all Christians are anointed, which is merely a variation of the ages-long false teaching that heaven is the only destination of all the saved. The 120 Jews who were anointed on the day of Pentecost were evidently all baptized in the baptism of John only. It was not necessary that they be baptized in Jesus’ name since they were all personally acquainted with him. However, after Pentecost it became necessary for Jewish believers to be baptized in the name of Jesus in order to receive the anointing spirit. Nevertheless, the point is, even those believers who had not been baptized in the name of Jesus and who were not anointed were considered believers and, as in the case of Apollos, were impelled by the spirit to preach and teach. These accounts in Acts are there for a reason —providing scriptural support for the teaching that not all followers of Christ are anointed. Of course, Apollos and the other dozen were eventually anointed when they were baptized in the name of Jesus. But the fact remains that they were regarded as believers prior to their anointing. And in the case of Apollos, the account makes the point of showing that he was an active preacher and teacher without the anointing by the spirit. 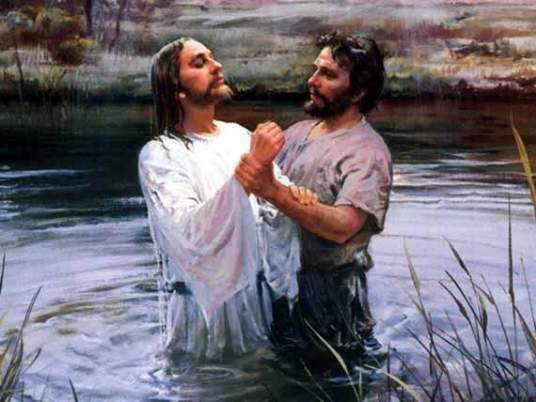 John’s baptism parallels the baptism Jehovah’s Witnesses undergo. Apollos typifies the many of Jehovah’s Witnesses today who are preachers and teachers, who are also aglow with the spirit, but who do not consider themselves to be anointed. Whereas, those who are called into the Kingdom, while also baptized in symbol of repentance, are baptized by the holy spirit.